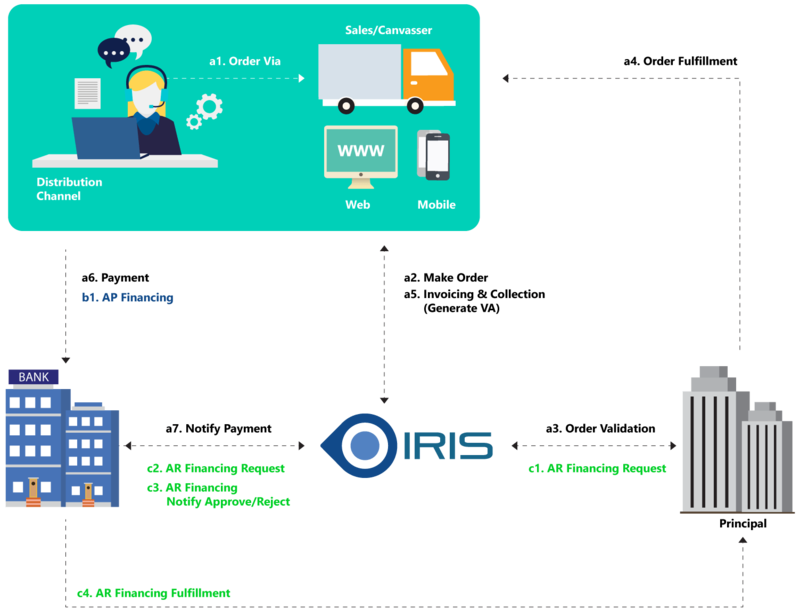 IRIS is an agile software platform for managing distribution channels, its interact with ERP and Banking system in order to enable enterprises monitor their distribution channels performance, This solutions covers a wide range of features which every agent-based companies need. Agent Management, This functionality is to manage the enterprise’s distribution channels, both direct and indirect channels as well as to define the distribution structures and monitor their key performance indicator. Sales Force Automation, This functionality enable enterprise to ensure the effectiveness of the day to day tasks of its sales force or canvasser. With SFA mobile app enterprise could monitor its sales forces location and how the tasks are carried out. Collection Management, This functionality is to help the enterprise to ensure the days sales outstanding by manage the distribution channel’s payment schedule. Credit Management, This functionality enable enterprise to monitor and manage their distributions channel volume limit. This is to ensure the balance of order vs inventory as well as to control number of distributed goods in the market.